Deposit Methods: Bank Wire Transfer, CLICK2PAY, NETELLER, 900Pay, eWalletXpress, iPoint, MasterCard, MyPaylinQ, Visa, Bank Draft, FedEx. Currencies accepted: Euros, Pound Sterling, United States Dollar. 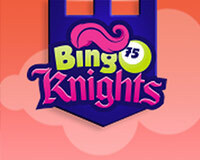 The roll-out of new free casino games on a regular basis keeps Cool Cat Casino fresh and fun. You possibly can play casino games free of charge, have a look, check if you enjoy them and just change playing modes easily when you want to change and start playing are the real deal money. Cool Cat Casino is especially user-friendly. You possibly can play free casino games on any Windows-based PC. All non-PC users can use the Flash version casino and enjoy the games likewise. At Cool Cat Casino, your security is imperative. Every card and number generated on Cool Cat Casino seemingly random, guaranteed! Their software program is certified through the online gaming administration ensuring for random odds. 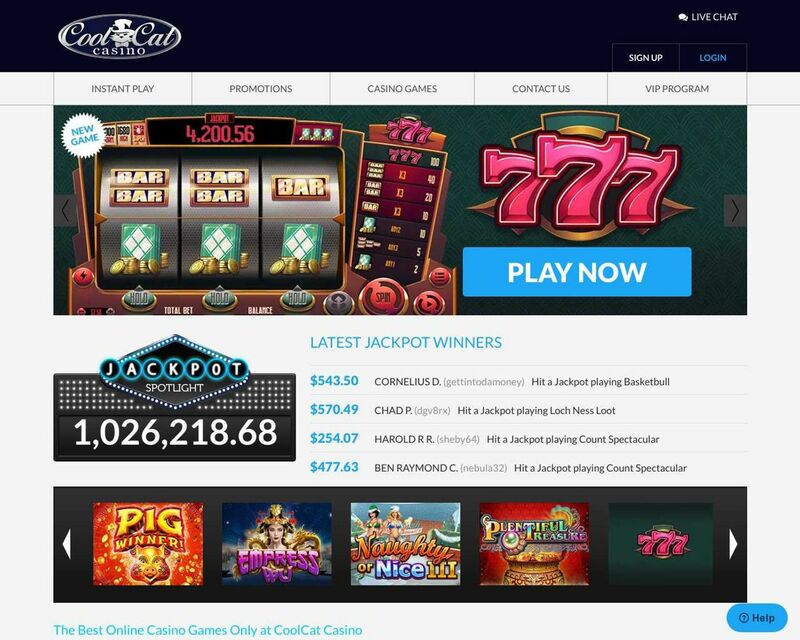 Plus, it's possible to continue and finished a casino game driving under the influence disconnected with all the advanced Disconnection Protection software. CoolCat Casino does not accept players from the following countries: Algeria, Angola, Benin, Botswana, Burkina Faso, Burundi, Cameroon, Cape Verde, Central African Republic, Chad, Comoros, Congo, Democratic Republic of the Congo, Djibouti, Egypt, Equatorial Guinea, Eritrea, Ethiopia, Gabon, Gambia, Ghana, Guinea, Guinea-Bissau, Ivory Coast, Kenya, Lesotho, Liberia, Libya, Madagascar, Malawi, Mali, Mauritania, Mauritius, Morocco, Mozambique, Namibia, Niger, Nigeria, Rwanda, Sao Tome and Principe, Senegal, Seychelles, Sierra Leone, Somalia, South Sudan, Sudan, Swaziland, Tanzania, Togo, Tunisia, Uganda, Western Sahara, Zambia, Zimbabwe, Afghanistan, Armenia, Azerbaijan, Bahrain, Bangladesh, Bhutan, Brunei Darussalam, Cambodia, China, Hong Kong, India, Indonesia, Iran, Iraq, Israel, Jordan, Kazakhstan, Kuwait, Kyrgyzstan, Laos, Lebanon, Macao, Malaysia, Maldives, Mongolia, Myanmar, North Korea, Oman, Pakistan, Palestine, Philippines, Qatar, Saudi Arabia, Singapore, Sri Lanka, Syria, Taiwan, Tajikistan, Thailand, Timor-Leste, Turkey, Turkmenistan, United Arab Emirates, Uzbekistan, Vietnam, Yemen, Antigua and Barbuda, British Virgin Islands, Cuba, Curacao, Dominica, Dominican Republic, Grenada, Guadeloupe, Haiti, Jamaica, Saint Kitts and Nevis, Saint Lucia, Saint Martin, Saint Vincent and the Grenadines, Trinidad and Tobago, Turks and Caicos Islands U.S. Virgin Islands, Belize, Bolivia, Brazil, Colombia, Costa Rica, Ecuador, El Salvador, Falkland Islands, French Guiana, Guatemala, Guyana, Honduras, Nicaragua, Panama, Paraguay, Peru, Suriname, Albania, Belarus, Bosnia and Herzegovina, Bulgaria, Croatia, Cyprus, Czech Republic, Denmark, France, Georgia, Gibraltar, Hungary, Ireland, Isle of Man, Italy, Jersey, Latvia, Liechtenstein, Lithuania, Macedonia, Malta, Moldova, Montenegro, Poland, Romania, Russia, Serbia, Slovakia, Slovenia, Svalbard and Jan Mayen, Ukraine, Canada, Greenland, Fiji, French Polynesia, French Southern Territories, Micronesia, Nauru, Palau, Papua New Guinea, Pitcairn, Reunion, Saint Helena, Samoa, Tonga, Tuvalu, USA Minor Outlying Islands, Vanuatu, Wallis and Futuna.